Last week we attended training and received a global certification for Mental Health First Aid. It seemed timely since June is Post Traumatic Stress Disorder Awareness month. 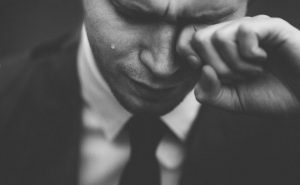 At Nimbus HR Solutions Group, in the course of conducting our HR consulting activities, we often come across people exhibiting clear signs of PTSD. Sometimes, we are able to observe this while working with employees directly. Other times, a leader approaches us about an employee “with problems” that may be signs of possible PTSD. Recently, a client had an employee who was having issues with attendance. The employee could not make it into work, nor were they calling in to report their absence. When we reached out to this employee to discuss this issue and find out what was happening for them, it became evident very quickly that they had a trauma-related disorder. While only medical professionals can make a formal diagnosis of PTSD, having just received certification for Mental Health First Aid, we had the skills to determine the nature of their challenges, and ensure we not only asked the right questions, but also could guide them towards the help they so clearly required. Our society seems to be so focused on “What’s wrong with you?” and making assumptions about behaviour, instead of asking “what happened?” and being open to listen. By listening to this employee, we were able to engage the appropriate help. In this instance, we connected the employee with the EAP Program and ensured that they had engaged appropriate medical supervision. We are seeing that mental health seems to be the leading cause of work-related absences. For this reason, we encourage our clients to have an EAP (Employee Assistance Program) to provides confidential counseling for many different issues, and a variety of resources for coping with anxiety, stress, and other life issues. We are strong supporters of having EAP programs in place and often implement them for our clients. There is never a “one size fits all” solution, so if you are looking to have an EAP solution implemented, we will work with you and do the research to provide a solution that is relevant for your business and your employees. What can you do if you are aware of someone who has experienced a traumatic event? Let the person tell their story – if they wish. Forcing someone to tell a story they’re not ready to tell can often re-traumatize the person. Listen non-judgmentally. Sit beside the person. Be patient. Reassure the person that stress reactions are normal responses. Reactions like shock, fear, grief, indecisiveness, worry, fatigue, difficulty sleeping are not unusual and can continue for days or weeks after a trauma. Encourage the person to reach out to other people who can provide support and share feelings about what is happening. Encourage them to talk with family, friends, colleagues. Do NOT tell them to “forget” the trauma and “get on with life”. Encourage the person to try simple relaxation techniques and to avoid drugs or alcohol. Offer to help them seek help. Family Doctor, EAP, counseling if their distress interferes with normal life functioning. Is your business in need of an Employee Assistance Program? If so, contact us at Nimbus HR Solutions Group now.